Lawyer Assa Nyakundi will spend a night at Muthaiga police station as police conclude their investigations into the murder of his son. Nyakundi who was being represented by four lawyers is suspected of killing his son in Muthaiga last month. Nabonywe requested the court to detain Nyakundi at the Muthaiga police station to enable them to prepare his case. Nyakundi will be detained at Muthaiga police station and police should make sure he gets access to his medication. Nyakundi was discharged on Wednesday evening from Nairobi hospital where he has been for six weeks after falling sick during his arrest. To address frequent complaints, the Public Service Commission (PSC) has announced that it will implement performance tracking to reduce backlog and ensure pensioners get their dues as they leave. The decision was reached during a meeting of the PSC and directors of the Pensions Department, Ifmis and the human resource offices in ministries, departments and agencies. RESOLUTIONSMr Kirogo said the commission, in three previous meetings with the Pensions Department, sought to understand inefficiencies and the processing and payment of pension. CONTINUITYRegarding the retirement of the 3,250 officers, Mr Kirogo said it was important to know the documents needed, whether they are all necessary in this age and what the Pensions Department looks at. He asserted that performance tracking will ensure ministries and the Pensions Department adhere to agreed timelines. 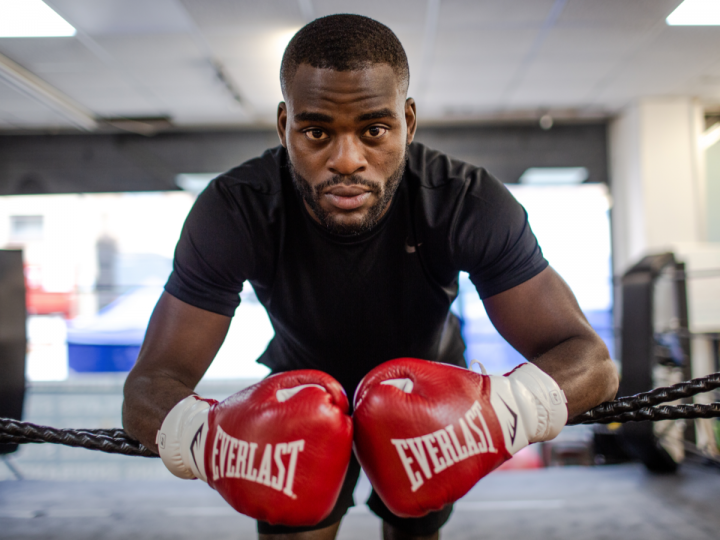 Everlast Worldwide, the world’s leading manufacturer, marketer and licensor of boxing, MMA and fitness equipment, is delighted to announce that it has signed an exclusive equipment agreement with the undefeated British boxing sensation Joshua Buatsi. Under the agreement, Buatsi will compete using Everlast gloves and train exclusively with Everlast equipment. In addition, Buatsi will spearhead Everlast’s advancement in the UK market through content generation and direct to consumer and retail marketing initiatives. He’s undoubtedly one of the brightest talents in world boxing and a fantastic ambassador outside the ring. Luke Smith, Everlast’s Brand & Sports Marketing Manager for UK & Europe, is excited to welcome Buatsi to Everlast. KTN News Apr 25,2019View More on BusinessPZ Cussons is a major British manufacturer of personal healthcare products and consumer goods. With operations in Kenya spanning many years, the brand is well known. 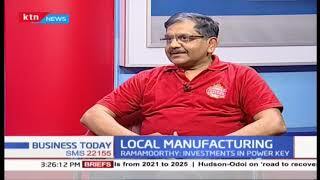 We have Sekar Ramamoorthy the PZ Cussons MD to discuss manufacturing in the country. By ANITA CHEPKOECHMore by this AuthorSome parts of Kenya are set to feel the effects of Cyclone Kenneth even though the met has said it will not hit the country. They cyclone is expected to make landfall in northern Mozambique and Mtwara in Tanzania on Thursday night. According to the Kenya Meteorological Department, residents of Isiolo, Western Kenya, Makueni, Narok, Samburu and Nairobi should brace themselves for heavy rain as a result. “Kenyans have no reason to fear because we are outside the range that is prone to cyclones,” Ayub Shaka, a deputy director at the Kenya Meteorological Department said. He added that: “The only expected effect is an increase in the amount of rainfall in some parts of the country.”Mr Shaka said that unlike the Cyclone Idai that held down the rain belt to the south, this time round, it’s going to cause higher rainfall in southern parts of Kenya because the rain belt has already moved from the south to the north. Even Luis Ortiz could come and say, ‘Let’s go,’ and we’d do that. Ruiz has a different value, so the pay-per-view numbers would be less for Andy Ruiz than they would for Luis Ortiz [in the UK]. The gate would probably be less for Andy Ruiz than it would for Luis Ortiz. Additionally, there’s not enough time for the 40-year-old Ortiz (31-0, 26 KOs) to get ready for the Joshua fight in less than seven weeks. Ortiz hasn’t been training, so it’s a tougher task for him to get ready for the Joshua fight with a short camp. Is Machakos Governor Alfred Mutua ripe for presidency? The 2022 presidential election is taking shape in earnest and of all the people who have shown interest in the race, Machakos Governor Dr Alfred Mutua is presenting indications that he will not be a pushover. He makes calculated and deliberate attacks almost provoking, but well-intended nonetheless, especially in a country where corruption seems to be a norm. His health reforms have made Machakos Level 5 hospital a fascination to residents of neighboring counties like Nairobi, Kajiado and Makueni. In fact, it is true that Machakos Level 5 hosts most patients from Nairobi than anywhere else. Rich kid Anerlisa Muigai just got engaged. Anerlisa, who is the daughter and heir of Keroche Breweries founder Tabitha Karanja, said "Yes" to Tanzanian singer Ben Pol. They met after Anerlisa, who is the CEO and Founder of Nero Company which packages Executive water, contracted him for a gig. Early this year, Anerlisa posted photos of what looked like an introduction ceremony where Ben Pol met her family. Ben Pol who is months shy of turning 30-years-old, is set to marry Anerlisa who just turned 31. It noted that US immigration officials recently rejected all 56 of the Somali cases in Dadaab that had been proposed for resettlement in the US. By contrast, the UN agency added, Sweden approved all but two of the 29 Somali Dadaab cases it had been forwarded for review. Reuters reported a year ago that the number of Dadaab residents diagnosed with depression had almost doubled from 2016 to 2017. Nearly 2900 individuals have made their way back to Dadaab after being voluntarily repatriated to Somalia, the refugee agency noted. Kenyan officials had asked the UN refugee agency, which runs the Dadaab complex, to “expedite relocation of the refugees and asylum-seekers residing therein." Parts of Kenya to feel cyclone Kenneth as drought areas expect rain- weathermanKenya’s capital Nairobi is one of the regions set to feel the impact of cyclone Kenneth, a devastating strong wind expected to sweep through parts of Tanzania and Mozambique from Thursday. A statement from Kenya Meteorological Department indicates that Nairobi alongside other counties will feel the impact though such will be in forms of rain-not strong winds. It adds: “It is false that cyclone Kenneth will hit the Kenyan Coast. The French national meteorological service, French Meteo, on Tuesday rated Cyclone Kenneth as a moderate tropical storm. The new cyclone is set to smack the Indian Ocean just over a month after Cyclone Idai hit Mozambique, Malawi and Zimbabwe killing over 1,002, injuring 2,513 people and displacing several others. Kenya's Mary Keitany will seek to match Norwegian Ingrid Kristiansen's tally of four London Marathon titles on Sunday but, unlike her compatriot Eliud Kipchoge, bidding for a fourth win in the men's race, she is by no means the hot favourite. Keitany won in 2011, 2012 and 2017 - when she set a women-only record (without male pacemakers) of two hours, 17 minutes, one second. While she judged her race to perfection to reel in Keitany in London 12 months ago, her rival later gained revenge in New York. Cheruiyot then provided a reminder of her track speed by scorching to a 66.34 half-marathon victory in Lisbon in March. Keitany has taken heart from her 2:22.48 performance on the tough New York course, where she finished over a minute ahead of Cheruiyot. Ugandan mum of multiple quadruplets struggles to provide for 38 kidsMariam Nabatanzi's son carries a meal at their family home in Kasawo village, Mukono district, east of Kampala, Uganda March 7, 2019. Mariam Nabatanzi gave birth to twins a year after she was married off at the age of 12. After her first sets of twins were born, Nabatanzi went to a doctor who told her she had unusually large ovaries. But even in Uganda, the size of Nabatanzi’s family makes her an extreme outlier. Three days after she was born, Nabatanzi’s mother abandoned the family: her father, the newborn girl and her five siblings. Mount Kenya United players have refused to honour Thursday afternoon's league assignment against Gor Mahia in the climax of a pay dispute with the management. "I have tried to convince the players to honour this match but they have refused. They are way within their rights not to play so there is nothing I can do," explained the coach. He added: "I think football in Kenya is all about politics and no tangible action. I am not in the right frame of mind to play the game and might even collapse on the pitch," he said. 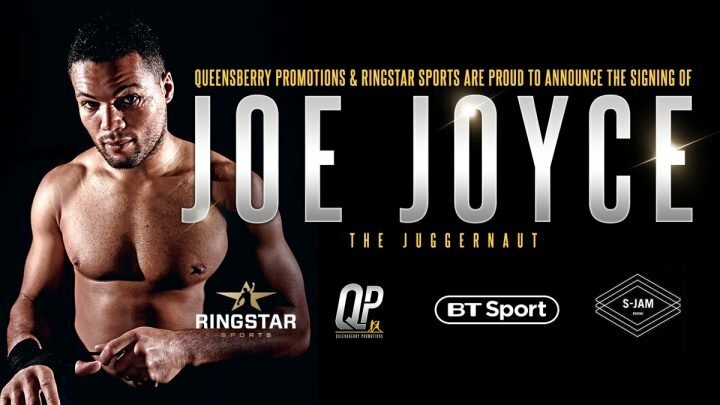 HALL OF FAME promoter Frank Warren is delighted to welcome unbeaten heavyweight and Olympic Silver medallist Joe Joyce to the Queensberry Promotions stable in a co-promotional agreement with Ringstar Sports. The 33-year-old, known as ‘Juggernaut’ is the mandatory challenger for the EBU European heavyweight title, the British heavyweight title and the current holder of the WBA Gold heavyweight title, having previously won the WBA Continental title. “I am delighted to be joining up with Frank and the Queensberry team,” added Joyce. Along with S-JAM Boxing, they are doing a terrific job with Joe and I’m looking forward to working with them and delivering some big nights.”Richard Schaefer of Ringstar Sports added: “Ever since turning pro, Joe Joyce has been on a mission. With Frank Warren and his team, we have now the final piece in place which is a partnership with the UK’s leading platform – BT Sports and the UK’s leading promoter Frank Warren. The World Meteorological Organisation, a UN body, maintains a list to name tropical cyclones around the world. But if the same type of disturbance takes place in the Northwest Pacific Ocean, it is known as a typhoon. Typhoons in the Northwest Pacific Ocean are most common from May to October, although they can form year-round. The World Meteorological Organisation, a UN body, maintains a list to name tropical cyclones around the world. Countries in the regions of hurricanes, typhoons and cyclones send suggestions for the list to the global met authority.